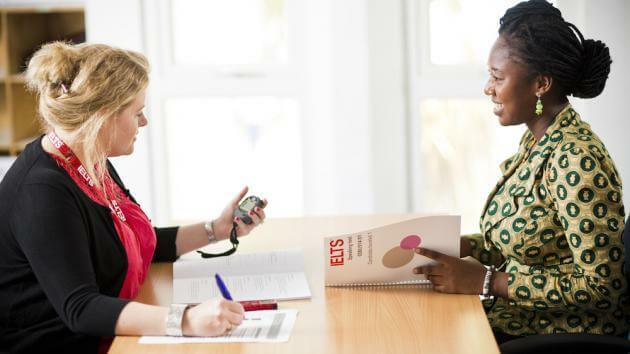 The IELTS Speaking Test module consists of a face-to-face interview with an examiner. The examiner will lead the candidate through the three parts of the test: an introduction and interview, an individual long turn where the candidate speaks for one to two minutes on a particular topic, and a two-way discussion thematically linked to the individual long turn. This interview will last for approximately 11-14 minutes. The examiner records the interview. IELTS Speaking Test Part 1 lasts for 4 to 5 minutes and begins with introduction. The examiner then asks a number of questions about familiar topics such as your studies, work, hobbies, interests, etc. Your answers are from your life and experience. There is no right or wrong answer. Part 2 lasts 3 to 4 minutes and is based on the candidate giving a short talk. You are giving a card with a familiar topic and several prompts. You have one minute to get ready and make some notes. When the preparation time is up, or if you are ready earlier, start talking. You should talk for two or three minutes on the topic given. You do not have a choice of topic but the topics are based on your own experience, such as a person or place you know, or an event or activity you have experienced. Part 3 lasts for 4 to 5 minutes. The questions in IELTS Speaking Test Part 3 will be related to the topic in IELTS Speaking Test Part 2. So if, for example, Part 2 was about a teacher, then Part 3 might be about Education. They allow you to discuss more abstract issues and ideas. Part 3 is a discussion between you and the examiner.